VoeTek was founded in 2009 as an independent consultancy, R&D and app development company. We work closely with clients in both private and public sectors to provide practical guidance on the successful implementation of digital technology. Jerry is a technologist with 30 years senior experience in the public and private sectors. He has served as Chief Information Officer (CIO) and Chief Technical Officer (CTO) in a variety of organisations, from the NHS, to the Houses of Parliament, to City of London financial regulation to Microsoft.Current and recent roles include Technical Consultant to the National Audit Office; Chief Technical Advisor to the Home Office; interim Deputy CTO for the UK Government; serving as the specialist advisor to the House of Commons for their inquiry into Government IT; and advising the Scottish and UK Governments on identity, security and privacy. Jerry is currently working for a range of clients in interim CIO/CTO and technology leadership roles, while also developing mobile apps and writing regular blogs and columns. He also undertakes a range of non-executive roles and is a Visiting Professor at the University of Surrey. He is also a Co-Founder and Principal of Stance Global. Jerry Fishenden (far left), Specialist Advisor to the House of Commons Public Administration Select Committee inquiry into Government IT. Jerry Fishenden opening a debate at the Cambridge Union Society 2016. Photo © Chris Williamson. 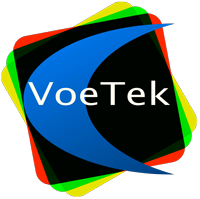 VoeTek is a limited company number 6972525 registered in England and Wales. The registered office is: 71-75 Shelton Street, Covent Garden, London, WC2H 9JQ. Please note that it is not possible to visit this office, it is simply our registered UK address. Disclaimer. All information and other content on this website is provided “as is” without warranty or conditions of any kind, express or implied. VoeTek assumes no responsibility for errors or omissions in content contained in or referenced by this website. Trademarks. Voetek and the VoeTek logo are trademarks of VoeTek Limited. Any other trademarks or logos that may appear on this website are the property of their respective owners. Copyright. All contents of this web site © 2009-2016 VoeTek Limited. All rights reserved. “I never knew that…” “Voe” in Old Norse means “Bay”.